The practice of advanced criminal defense in federal court is much different than in a felony or misdemeanor case in a state court in Michigan. Some of the most significant differences are in the area of discovery. In state cases, the prosecution is required, upon request, to disclose most of the evidence against the defendant at the commencement of prosecution. Conversely, the United States Attorney’s office is not required to produce all of its evidence against a defendant in the same way. Essentially, the federal rules virtually allow for “trial by ambush” by permitting the production of discovery extremely late in the litigation process. The Defendant’s prior record as known or available to the government Documents and tangible objects that are material to either the prosecution’s case or the Defendant’s defense. In addition to the Rule 16 Discovery, there are three categories of information to which the defense is entitled in a federal case. It is true that the prosecution’s job is not “to convict” but to pursue the truth and further the interest of justice. Therefore, as set forth in Brady v. Maryland, the government has an obligation to provide the defense with any evidence it finds that tends to establish the innocence of the accused. The government’s obligation to provide exculpatory information is affirmative which means that it must provide the defense with this information prior to trial even if there is not a specific request. This being said, it is critical for the defense to specifically request Brady Materials early in a prosecution to protect the defendant’s rights in the event the matter should become an issue on appeal. United States v Agurs, 427 U.S. 97 (1976). The government also has an affirmative obligation to provide the defense with evidence that tends to undermine the credibility of their witnesses. This is referred to as impeachment evidence. What is the difference between exculpatory evidence and impeachment evidence? 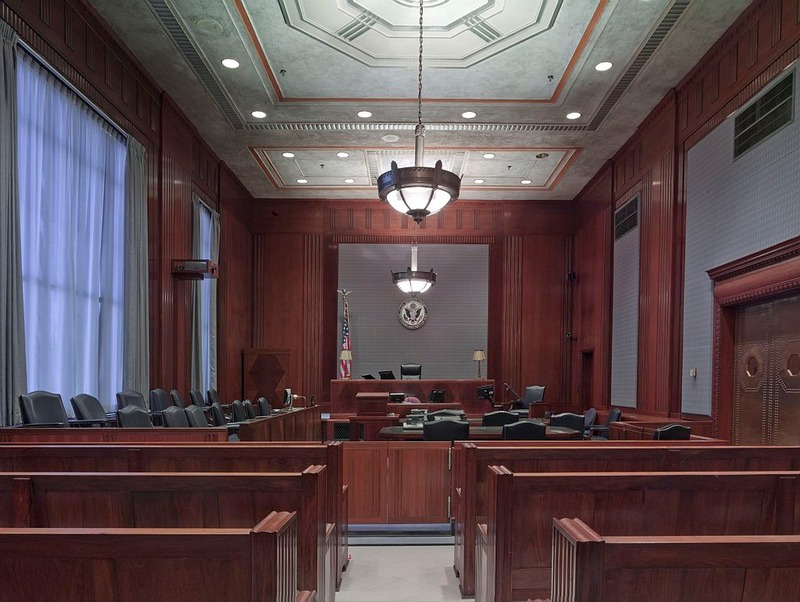 Exculpatory evidence is evidence tending to show that the defendant is not guilty. Impeachment evidence is evidence that tends to show that the prosecutor’s evidence may not be credible. If a witness in a federal prosecution for health care fraud gave a statement indicating that the defendant was not involved in the conspiracy, this would be exculpatory evidence. Impeachment evidence would be, for example, a government witness’s prior conviction for perjury. Prior inconsistent statements (possibly including inconsistent attorney proffers, see United States v. Triumph Capital Group, 544 F.3d 149 (2d Cir. 2008))? Benefits provided to witnesses including:? Assistance in a state or local criminal proceeding? Letters to other law enforcement officials (e.g. state prosecutors, parole boards) setting forth the extent of a witness’s assistance or making substantive recommendations on the witness’s behalf? Consideration or benefits to culpable or at risk third-parties? known but uncharged criminal conduct (that may provide an incentive to curry favor with a prosecutor)? Prior acts under Fed.R.Evid. 608? Prior convictions under Fed.R.Evid. 609? In any criminal prosecution brought by the United States, no statement or report in the possession of the United States which was made by a Government witness or prospective Government witness (other than the defendant) shall be the subject of subpoena, discovery, or inspection until said witness has testified on direct examination in the trial of the case. After a witness called by the United States has testified on direct examination, the court shall, on motion of the defendant, order the United States to produce any statement of the witness in the possession of the United States which relates to the subject matter as to which the witness has testified. If the United States claims that any statement ordered to be produced under this section contains matter which does not relate to the subject matter of the testimony of the witness, the court shall order the United States to deliver such statement for the inspection of the court in camera . . . If the United States elects not to comply with an order of the court under subsection (b) or (c) hereof to deliver to the defendant any such statement, or such portion thereof as the court may direct, the court shall strike from the record the testimony of the witness, and the trial shall proceed unless the court in its discretion shall determine that the interests of justice require that a mistrial be declared. The term ”statement”, as used in subsections (b), (c), and (d) of this section in relation to any witness called by the United States, means -a written statement made by said witness and signed or otherwise adopted or approved by him; a stenographic, mechanical, electrical, or other recording, or a transcription thereof, which is a substantially verbatim recital of an oral statement made by said witness and recorded contemporaneously with the making of such oral statement; or a statement, however taken or recorded, or a transcription thereof, if any, made by said witness to a grand jury. Jenks Act discovery materials, often the bulk of discovery in a federal prosecution, are generally not produced to the defense until right before trial (sometimes not until right before a witness testifies in the middle of trial). Unfortunately, much of this evidence is necessary for effective representation and the prosecution knows that by delaying producing of this information, they gain an unfair advantage over the defense. On September 8, 2003, an order was entered in the Eastern District of Michigan that was designed to streamline the discovery process in criminal cases and facilitate the orderly production of evidence to the defense. The order, entitled Standing Order for Discovery and Inspection and Fixing Motion Cutoff Dates in Criminal Cases, is applicable to all criminal prosecutions in the Eastern District of Michigan. Generally, the order requires that the prosecution file a Discovery Notice in a timely manner, which generally outlines the government’s discoverable evidence. If denying the identification of some evidence is in the government’s interest, the government may elect not to make such disclosure but must advise the defense that such a determination has been made. The role of the prosecution, unfortunately, is not clear to many prosecutors who zealously pursue convictions irrespective of the truth or justice. Many courts, innocently or willfully, regularly are complicit in the prosecution’s denial of good faith discovery to the defense. The criminal defense in any federal prosecution has to be on guard for discovery violations and aggressively pursue compliance with federal rules regarding the production of discovery. Many assistant United States Attorneys in the Eastern District of Michigan make a genuine, good faith effort to comply with the discovery rules. Unfortunately, there are exceptions to every rule and federal and state prosecutors frequently get caught up in a culture of “the ends justify the means.” Even in cases where an Assistant US Attorney genuinely attempts to comply with discovery rules, many federal agents can be obstructive or uncooperative. If you or a loved one is charged with a federal offense and is facing prosecution, you need a highly experienced federal defense attorney. The federal defense attorneys with LEWIS & DICKSTEIN, P.L.L.C. collectively have 40 years of experience aggressively and fearlessly defending those charged with felony and misdemeanor federal offenses. Please call us at (248) 263-6800 for a free consultation or complete a Request for Assistance Form and a federal defense lawyer will promptly contact you.